This 3 bed, 1 bath home is the perfect starter home! Walk through the front door to a spacious living room that features wood floors and a large window bringing in ample amounts of natural light. All bedrooms are good sized and the master bedroom features 2 closets and hardwood floors! The kitchen has new wood laminate flooring, and all kitchen appliances remain with the home! Washer and dryer will also remain with the home! 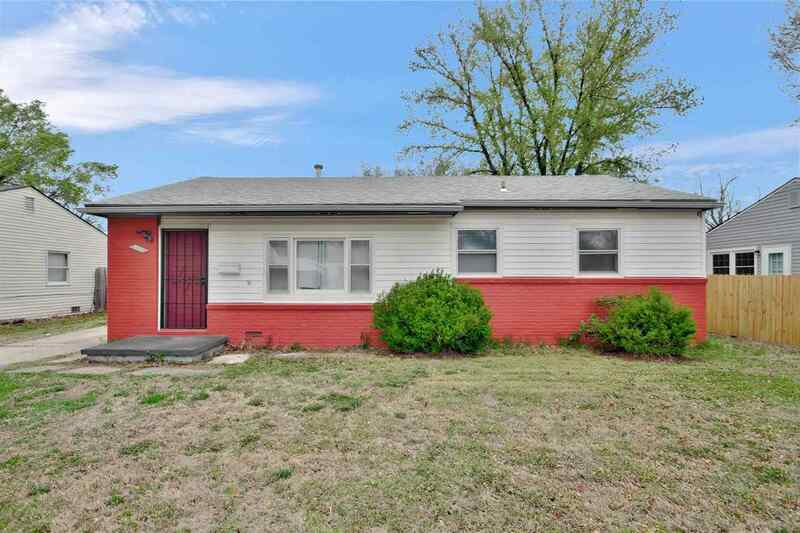 The home has new paint throughout, nearly remodeled bathroom, new A/C unit, new water heater, new furnace motor and updated electrical in 2019! Walk out to the backyard onto your patio to a nice fenced in backyard with 2 separate sheds for all of your outdoor storage needs and a storm shelter. This property is in a great location and perfect for that first home for your family!!! !